Choose Soil Stabilization That Works – Fast! Water permeation and expansive soils can cause significant damage long after a project is completed. With proper soil stabilization, these issues can be substantially reduced, leading to improved project outcomes. Two cement-based slurries developed by Martin Marietta have become the stabilization solution of choice by engineers, contractors and owners because of the increased durability of paving and foundations laid on the treated soil, as well as the environmental benefits of the slurries over common alternatives. Dry cement leaves a fine layer of material within hundreds of feet of the application area, damaging property (and reputations). 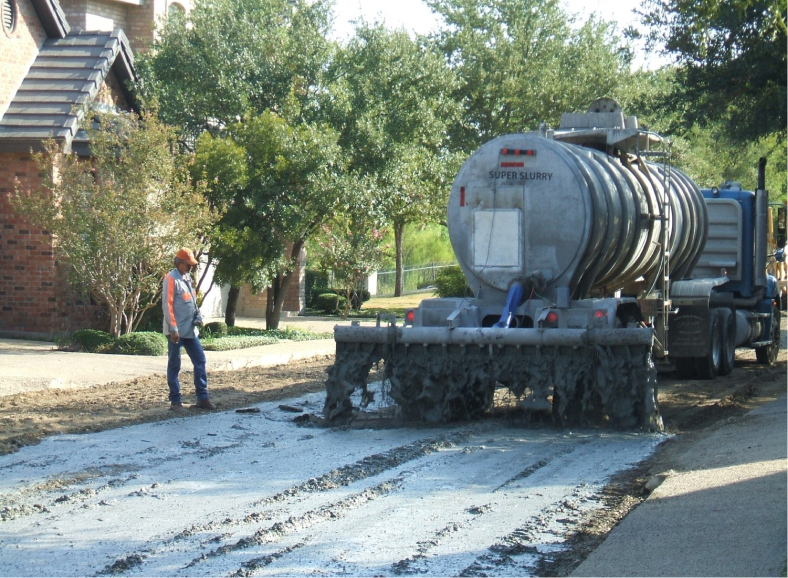 Both SuperSlurry™ and Cem-Lime™ are poured in a quick, evenly distributed application that mellows nearly immediately and causes no residual environmental issues. 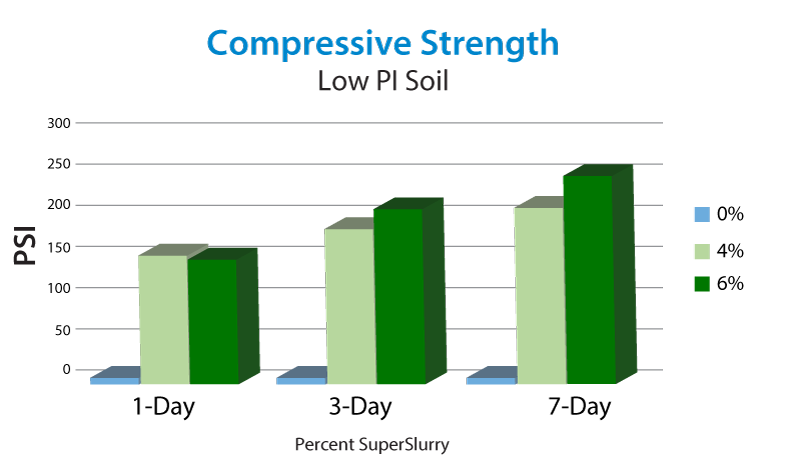 A Soil Stabilization Slurry That Really Is Super! Learn more by viewing this video! SuperSlurry™ maximizes cement particle distribution and allows for the most consistent cement slurry available. Unlike other slurries, SuperSlurry™ is a specially engineered product that allows for fast, consistent application for permanent soil stabilization. SuperSlurry™ can be placed with conventional construction equipment. And unlike other soil treatments that begin to break down during and after application, the patented SuperSlurry™ process bonds soil particles together, resulting in decreased permeability and increased structural value and compressive strength. As a result, paving – whether new or reconstruction – is completed faster and more reliably than with any other soil stabilization method. 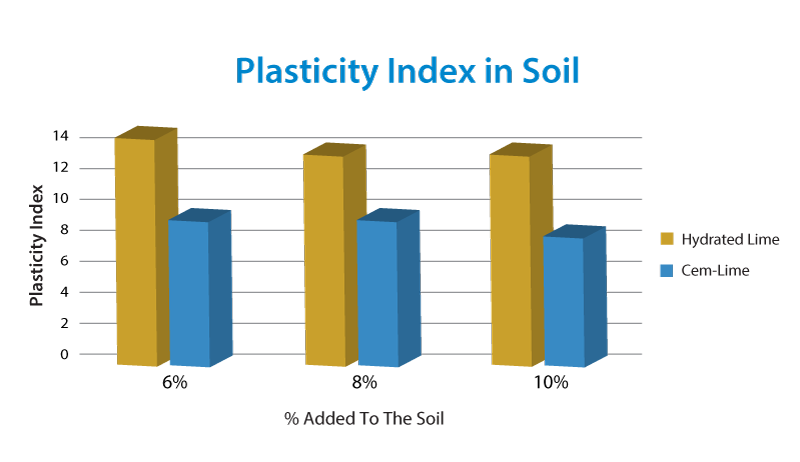 Challenges with expansive clay soils have always concerned engineers and driven specifications that aim to mitigate the damaging qualities of these high plasticity soils. Cem-Lime™ was specifically designed to balance long-term performance with short-term strength integrity as a permanent solution to soil modification and stabilization. The result is a strong, durable soil matrix that provides higher resistance to water permeability than typical hydrated lime. This means faster project completion and a longer lasting surface. 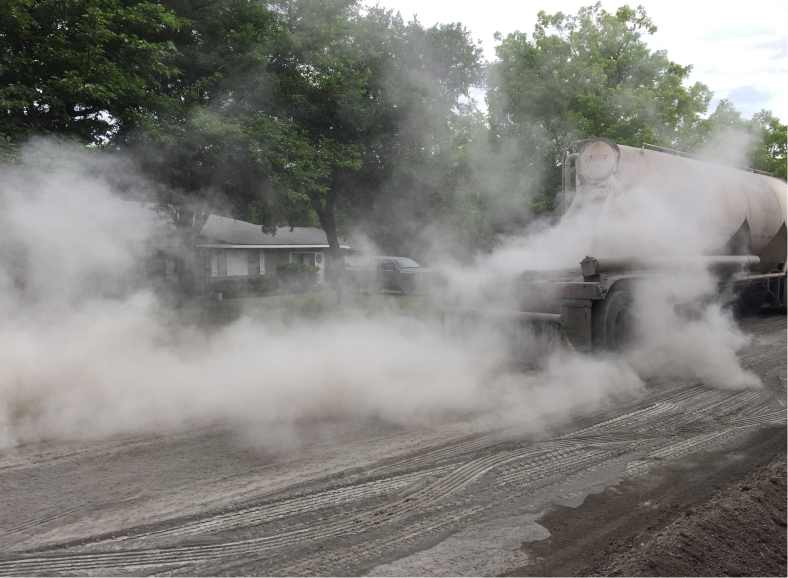 For transportation projects dealing with clay soils having a high Index, Cem-Lime™ is the ultimate solution for soil stabilization and modification. Road Plasticity engineers can rely on greater strength and load capacity, and contractors will see faster completion time. benefit from our base of experience and expertise.